This PowerPoint is a great beginning emotions activity to use with students on the autism spectrum. 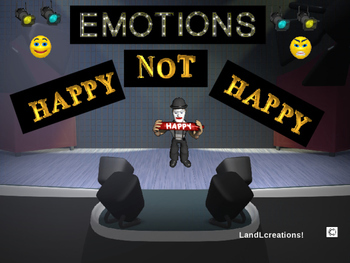 It contains 30 slides depicting human emotions happy/not happy. 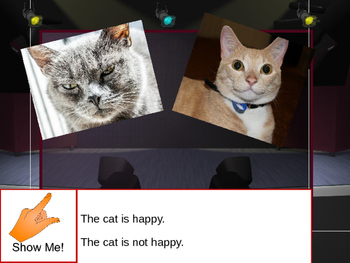 There are also five slides which; depict happy/not happy with regard to cats and dogs. The slides also help students understand ‘he,’ ‘she’ and ‘they;’ pronouns that are commonly difficult to grasp. Additionally, for student that do not know how to make a choice by pointing, the activity will allow the opportunity to learn that skill as well.